Love is certainly in the air this month – which makes the perfect excuse to spend quality time with your friends, family or special someone. For a date to remember, choose a restaurant brimming with flowers and plants. Here’s a few of our favourites. 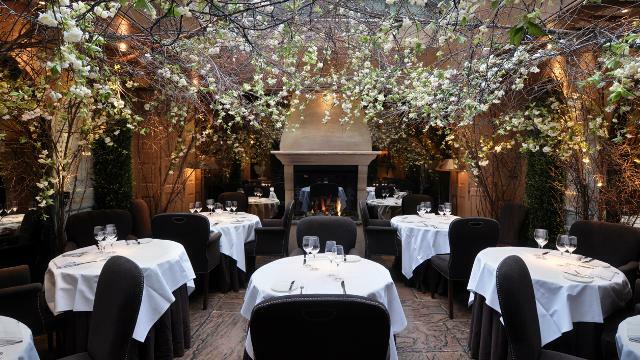 Officially London’s most romantic restaurant and famous for daily marriage proposals, the fine French menu at Clos Maggiore is almost surpassed by a ceiling suspended with cherry blossom and twinkling lights. A magical venue guaranteed to spark your romantic imagination, ask for a table in the main dining room when making a reservation to ensure you’re part of the floral action. 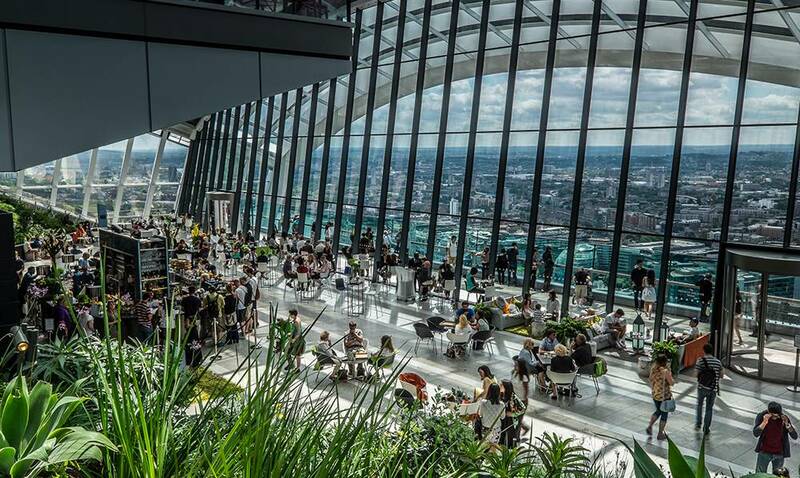 For a lunch date to remember, 155 meters high at the top of the famous ‘Walkie-Talkie’ building, the Sky Garden offers spectacular views of the city. But it’s the incredible tropical garden which makes this iconic London landmark a must-see. There are multiple restaurants and bars to choose from, but for informal yet stylish lunchtime dining, we highly recommend Darwin’s Brasserie to take in some of the best views of the city. 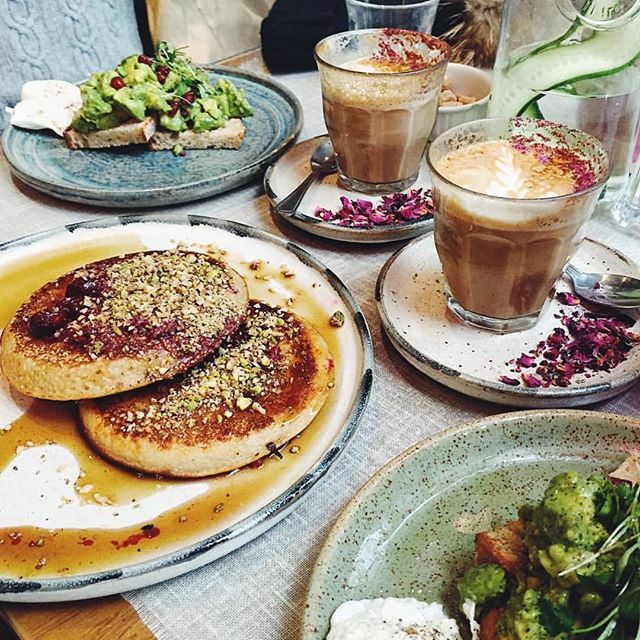 The understated and relaxed nature of their cafés in Notting Hill, Chelsea and Soho, makes it the perfect pick for those who prefer not to join the crowds in more obvious romantic restaurants. Rose petals on lattes are perhaps a more modern way to celebrate romance than scattered across a hotel room. Indulge on Farm Girl's varied vegetarian and vegan menu of acai bowls, berry pancakes and of course avocado toasts. If the weather is on your side, alfresco courtyard dining is both intimate and atmospheric. 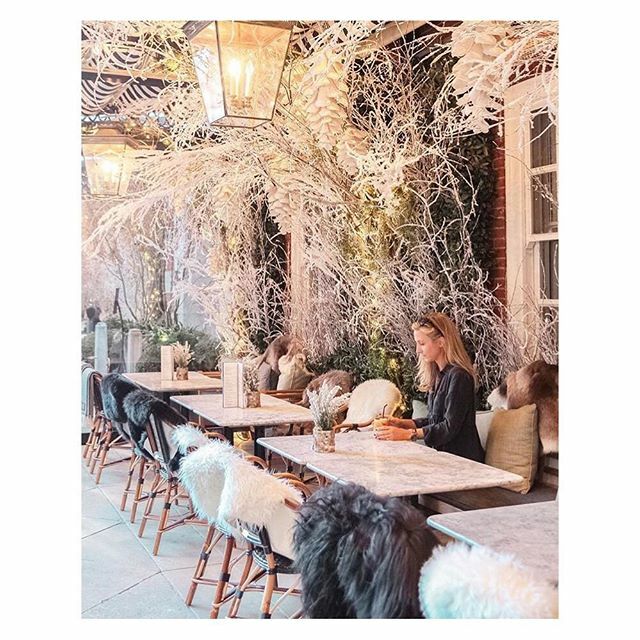 Based in the heat of Bloomsbury, Dalloway Terrace is a firm favourite with bloggers right now and it’s easy to see why. Marble tables make for flawless Instagram feeds full of food with mouthwatering brunch classics made with ingredients that are seasonal and locally sourced. 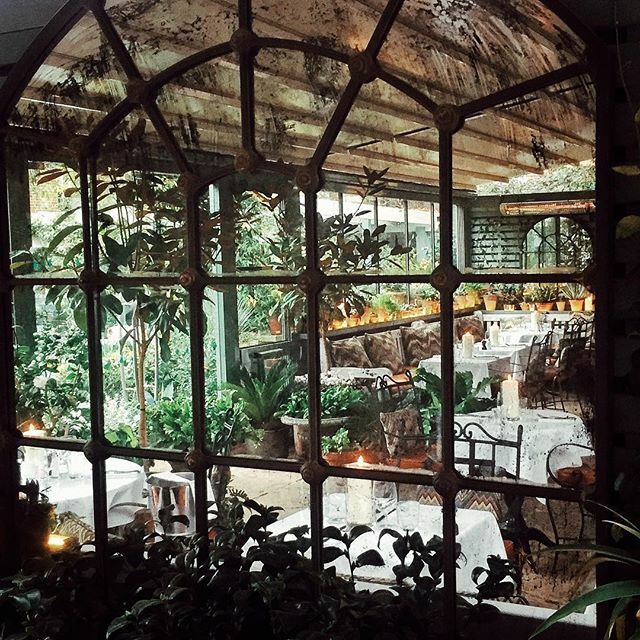 The secret garden makes this an attractive venue for special occasions and luckily, the roof is retractable so this fashionable London hot spot can be enjoyed come rain or shine. Located on the Kings road, London’s most desirable shopping district, The Ivy Chelsea Garden is the perfect place to sit back, relax and enjoy afternoon tea. A fun place for celebrity spotting, both the restaurant and garden are lavishly accentuated with flowers reflecting the season. Expect to see an explosion of fantastical blooms over the coming weeks for Valentine's. What are your favourite restaurants in London with a healthy interior serving of flowers or plants? Tweet us your favourites.